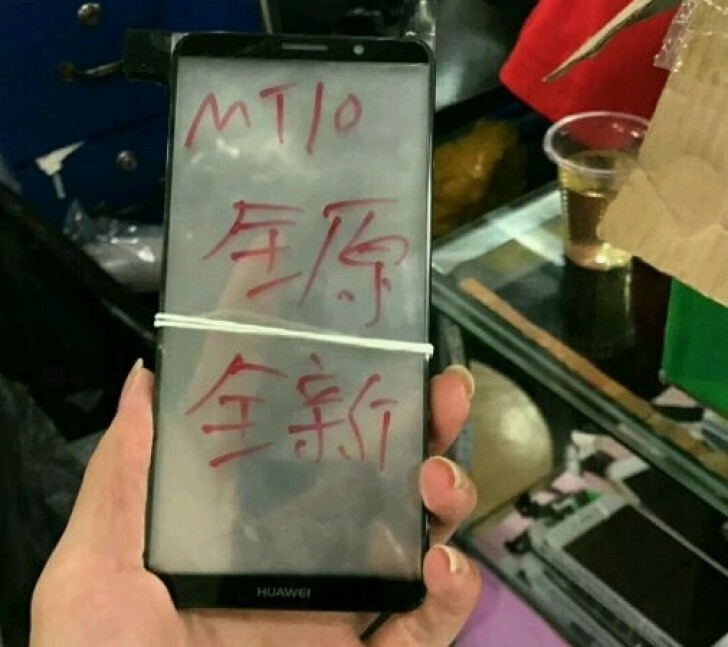 Huawei's Mate 10 just keeps on leaking ahead of its official unveiling on October 16. Today from China comes an image that is said to show the device's front panel somewhere in the wild, in someone's hand. What we see here, design-wise, lines up pretty well with at least one previous leaked image - that surfaced a few days ago and purportedly showed us a prototype Mate 10 being tested out and about. We get very slim bezels with this one, and a small Huawei logo on the bottom. On this Mate 10 model, the fingerprint scanner will be on the back, since it just couldn't fit on the front. Huawei is expected to launch at least two different Mate 10 versions - they may be called Mate 10 and Mate 10 Lite, or Mate 10 Pro and Mate 10. Regardless of which naming scheme will be used, the front panel leaked today belongs to the higher-end variant. This will feature a 5.99-inch 1,440x2,880 touchscreen with 18:9 aspect ratio, the Kirin 970 SoC, 6GB of RAM, and 64 or 128GB of built-in storage. A 12 MP + 20 MP dual camera setup will be on the rear (with Leica branding of course), and an 8 MP selfie snapper on the front. It should be 7.5mm thick and pack an impressive 4,000 mAh battery. IP68 water and dust resistance has been rumored, as well as a new EMUI version built atop Android 8.0 Oreo.